Just in time for the new release of Iron Man 3 comes a new Lego set. This one focusing on what might be the definitive scene from the film. 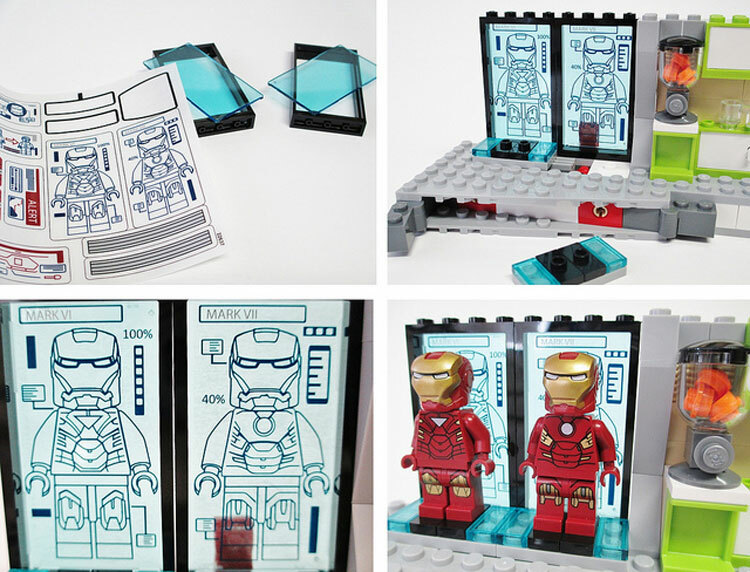 This set comes with 5 minifigs, Tony Stark, Iron Man in Mark 42 armor, Pepper Potts, the Mandarin, and an Extremis soldier. That is a lot of figures for such a set. The Malibu mansion is a super abbreviated version from the film, containing a workshop, hall of armor, and a kitchen. Lego has done a great job with their Super Heroes line. LEGO Iron Man: Malibu Mansion Attack (76007) is currently for sale on Amazon too. 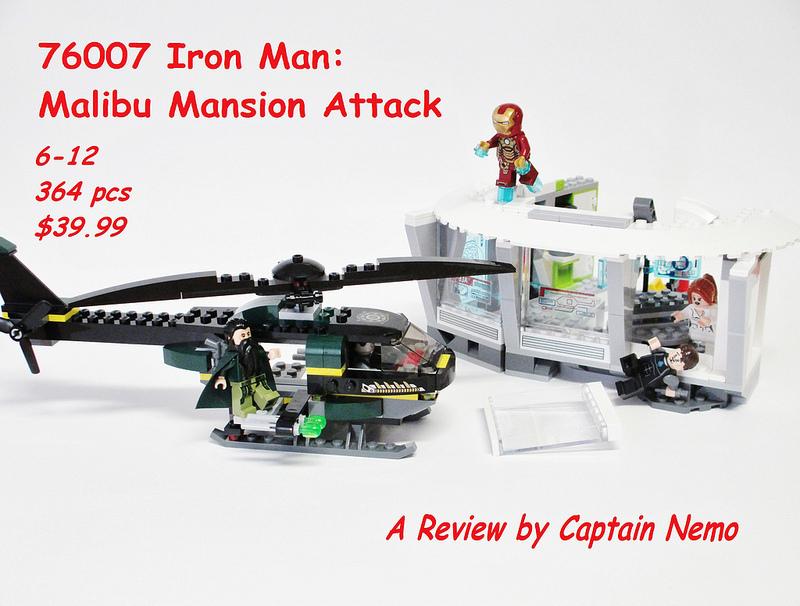 Captain Nemo over at Eurobricks posted a great review of the Lego Iron Man Malibu Mansion Attack. Fun fact: Lego spoiled the surprise that Pepper Potts wears the Iron Man armor on the box cover!